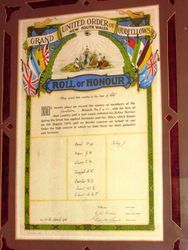 A framed paper honour roll commemorates those from the Seaham Sunbeam Branch No 5406 of the Oddfellows who enlisted in World War One. 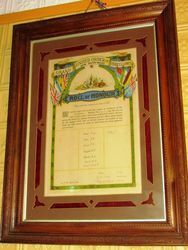 The recruiting association, with President J. W. Bong in the chair, on the night of the 25th instant hung the enlarged photographs of four of our soldiers now at the front. Spaces have been reserved for those enlargements not yet to hand. In addition Bro. 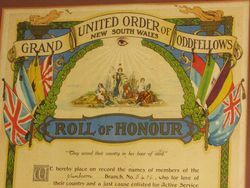 Green, of the Seaham Sunbeam branch of Oddfellows, hung the Oddfellows roll of honour, the little branch hero already being represented by six stalwarts on the battle-front. 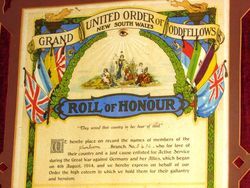 The President, in a stirrlng address, touched on the duty of recognising the sacrifice our local boys have made, and felt that the llttle ceremony there was but the least recognition the community could offer. Excerpt from the Maitland Daily Mercury (NSW), 27 April 1916. "They served their country in her hour of need." We hereby place on record the names of members of the Sunbeam Branch, No. 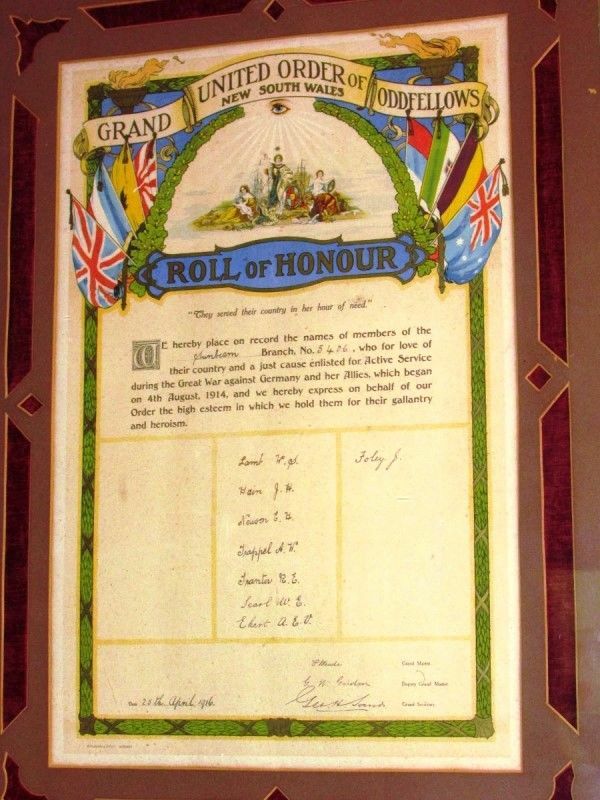 5406, who for love of their country and a just cause enlisted for Active Service during the Great War against Germany and her Allies, which began on 4th August, 1914, and we hereby express on behalf of our Order the high esteem in which we hold them for their gallantry and heroism.